The undergraduate minor program of study in applied statistics at FVSU is sponsored by U.S. National Science Foundation (NSF) and is open to all undergraduate students majoring in STEM fields including biology, chemistry, computer science and information systems, electronic engineering technology, management, and mathematics. Develop students’ statistical knowledge, thinking and methods in almost all activities that require scientific and data driven decisions and engage students in laboratory based hands-on activities. Students may take the above courses as their major/free electives. Work productively in the ares by using applied statistics. This is a foundational course in statistics and data management. The course provides knowledge on key concepts of statistics. Students will apply statistics to topics in scientific systems. Students will be capable of efficiently using an assortment of algorithms and database tools for the management and retrieval of information. Students will identify a range of approaches employed to model the behavior of systems. They will become familiar with computer tools to analyze the system and will gain understanding of the principles behind statistics analysis methods. These concepts are taught with heavy emphasis on statistical computing software (R, SAS, or EXCEL) using real world datasets. Students will apply advanced statistics to topics in scientific systems. Students will be capable of efficiently using an assortment of algorithms and database tools for the management and retrieval of information. The statistical methods include linear regression, hypothesis testing (F and T tests for regression, chi-square for independence, 2 group and paired sample T-tests). Students also perform and analyze results of Wilcoxon Signed Rank Sum tests, ANOVA, Kruskal Wallis and Multiple Regression. 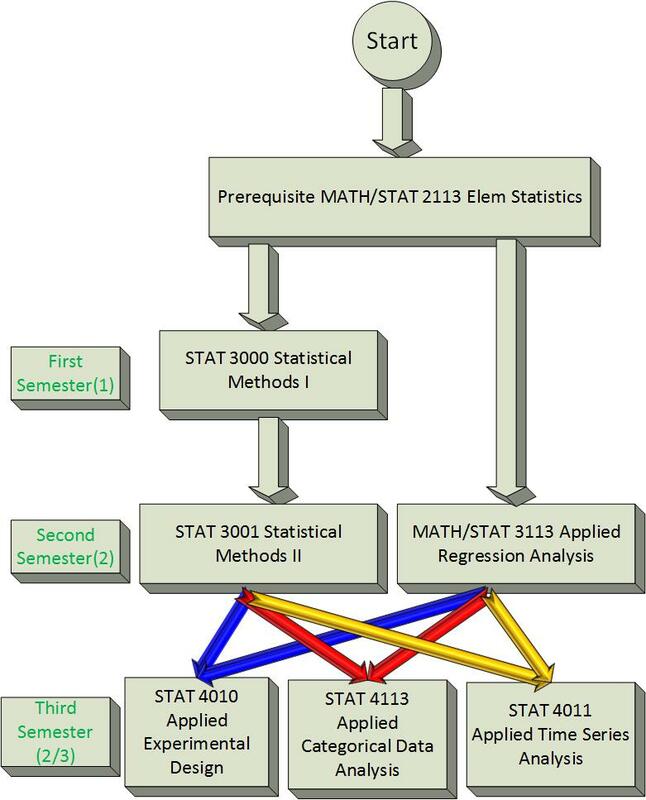 They will become familiar with the computer tools R and EXCEL to analyze the system and will gain understanding of the principles behind statistics analysis methods. Students will be introduced to the concepts and methods of linear regression analysis (both simple regression and multiple regression) and other related techniques. In this course hands-on data analysis will be emphasized so that students will frequently use computers to analyze data. Topics include simple linear regression, multiple linear regression, analysis of variance, analysis of covariance, model diagnostics and selection, nonlinear regression, and logistic regression. Students will learn the general principles of designing experiments. Topics will include review of basic statistical methods, statistical inferences for two populations, analysis of variance (ANOVA), analysis of Covariance (ANCOVA), multiple comparison of treatment means, randomized block designs, Latin square designs, and factorial designs. Students will study commonly used methods and models in Categorical Data Analysis. Topics covered will include Contingency Tables, Generalized Linear Models, Logistic Regression Models, Legit Models for Nominal and Ordinal Response, Log-linear Models for Contingency Tables. Students enrolled in this course will learn and apply statistical methods for the analysis of data that have been observed over time. Students will learn mathematical properties of time series, as well as the requirements, descriptive techniques, models, advanced methods and software that are necessary such that the student can independently run an applied time series analysis. As a statistics major, you observe patterns and useful information for everything from business applications to political strategies. Often statisticians collect and interpret data for marketing purposes. 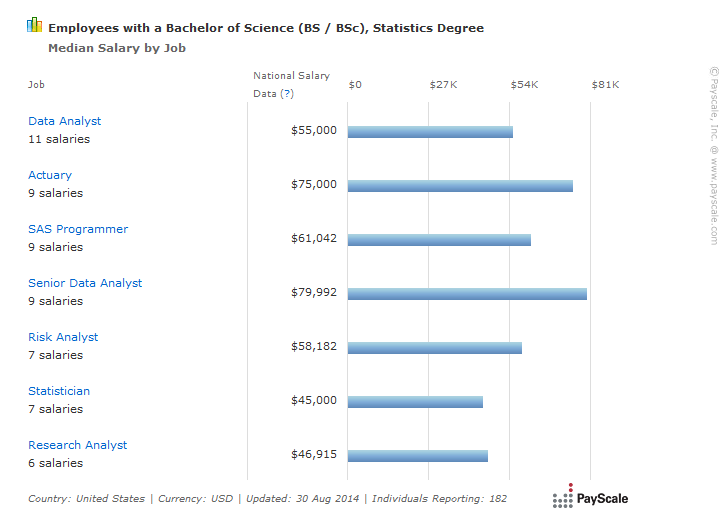 Average career salary: $48,600. Average mid-career salary: $94,500. 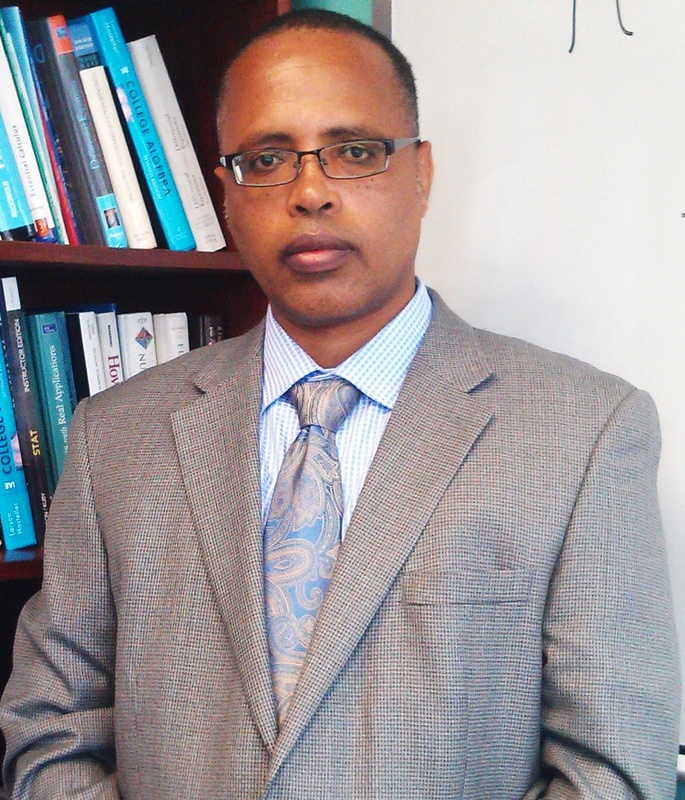 Dr. Dawit Aberra – PI – Dr. Aberra holds a Ph.D. in Mathematics from the University of Arkansas, Fayetteville; a post-graduate Diploma from the International Center for Theoretical Physics (ICTP – Italy) and M. Sc. and B. Sc. degrees in Mathematics from Addis Ababa University. Dr. Aberra is the Department Chair and a tenured Associate Professor with research and teaching experience of more than fifteen (15) years in Georgia, Virginia, and Arkansas. His teaching interest includes teaching calculus (all levels), complex variables, differential equations, discrete Mathematics, statistics, and analysis. He is also eCore-certified to teach online Mathematics courses and has professionally mentored other faculty in the University System of Georgia to teach online courses. He has published research papers in peer-reviewed journals including the Journal of Complex Variables and Elliptic Equations and Journal of Differential Equations. He is currently co-PI of a Title III grant (about $270,000 funded for three years to establish a STEM lab at FVSU). His recent awards include a 2010-11 teacher quality Title II grant (Co-PD), a 2008 National Research Experience for Undergraduates Program grant (PI), a 2008 President’s Research Mini-Grant, a 2010 FVSU and Peach County Schools Math and Science Partnership (MSP) funded by Georgia Department of Education for two years (planning committee member, and math and technology facilitator), and Title III travel awards. Dr. Shadreck Chitsonga – Co-PI Dr. Chitsonga holds a PhD in Mathematics Education from the University of Georgia and a Bachelor of Education Degree in Mathematics from the University of Malawi. 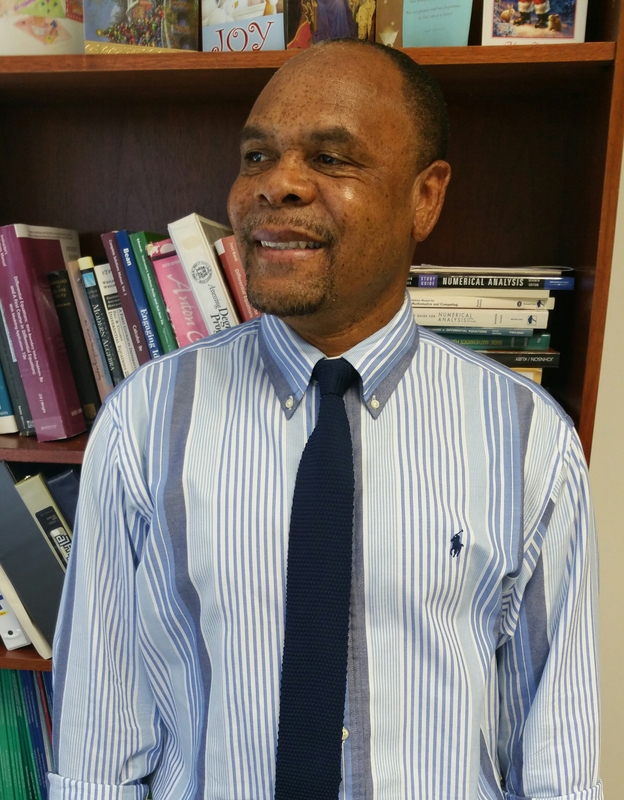 Dr. Chitsonga has a wide range of teaching experience in Malawi, Botswana and here in the USA. Dr. Chitsonga has taught middle school, high school and college level courses. He has taught Mathematics and Statistics at secondary school level and has also been involved in the training of K-12 Mathematics teachers. Dr. Chitsonga joined FVSU in 2010, and has taught a number of courses in Mathematics and Statistics. Dr. Chitsonga has been involved in with AP Statistics teachers before. His research interests include assessment of Mathematics and Statistics, issues related to the differences between Mathematical knowledge and Statistical knowledge, and teacher’s pedagogical content knowledge in Mathematics and Statistics. Dr. Haixin Wang – Co-PI Dr. Haixin Wang’s teaching interests include bioinformatics, computational biology, algorithm analysis, Matlab applications, and signal processing. He has developed new courses related to statics data processing and time-series data processing such as Matlab Application. He also offered a graduate level course in Computational Biology, and a Statistics software course: Matlab Applications. 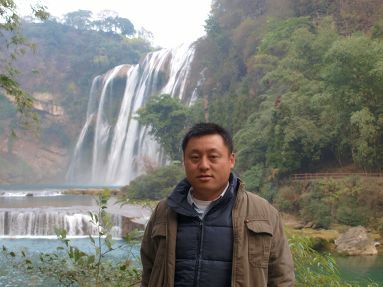 His primary research interests are in the field of bioinformatics and computational biology. Specifically, he is interested in the Statistics data processing in system biology, especially the noisy time-series microarray data. He was identified as the TOP Performing Reviewer on Computers and Electrical Engineering in 2010, Elsevier Editorial System. He was also a committee member in national and international conferences.